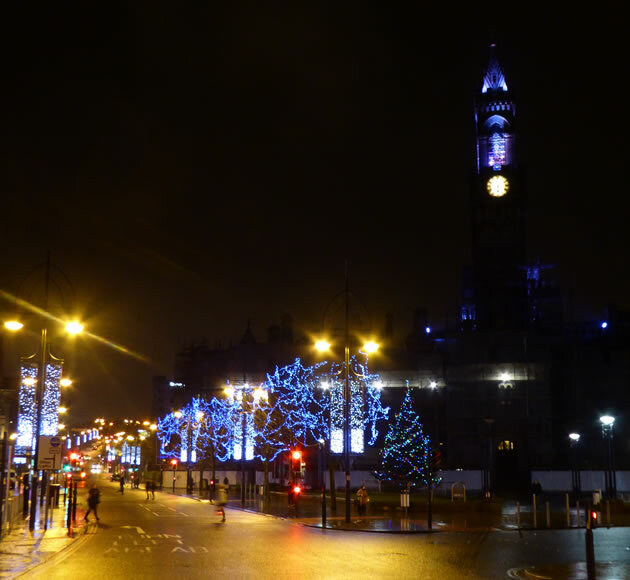 Bradford city council approached us to design and install their Christmas lighting at very short notice. With the development of a new shopping centre in the heart of the city it was important to make sure the lights reached the new centre. 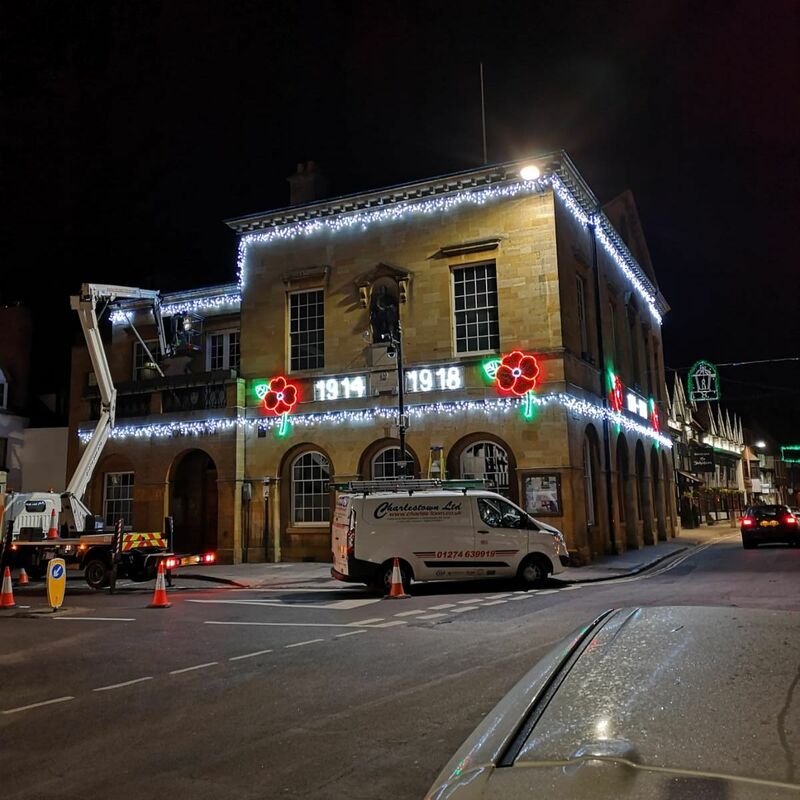 We worked in partnership with a third party to ensure that the lighting was designed, developed and installed in time for the Christmas period. 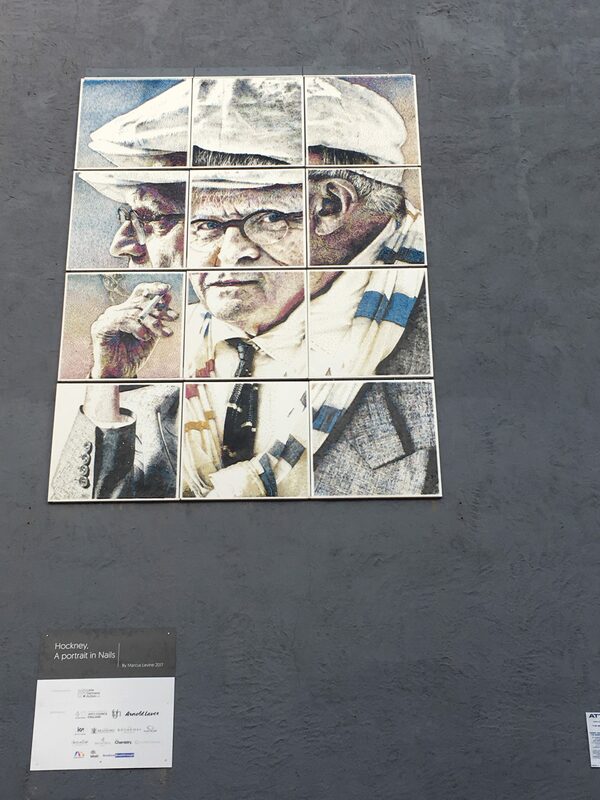 The design and development of the lights were outsourced but under the supervision of a dedicated project manager. 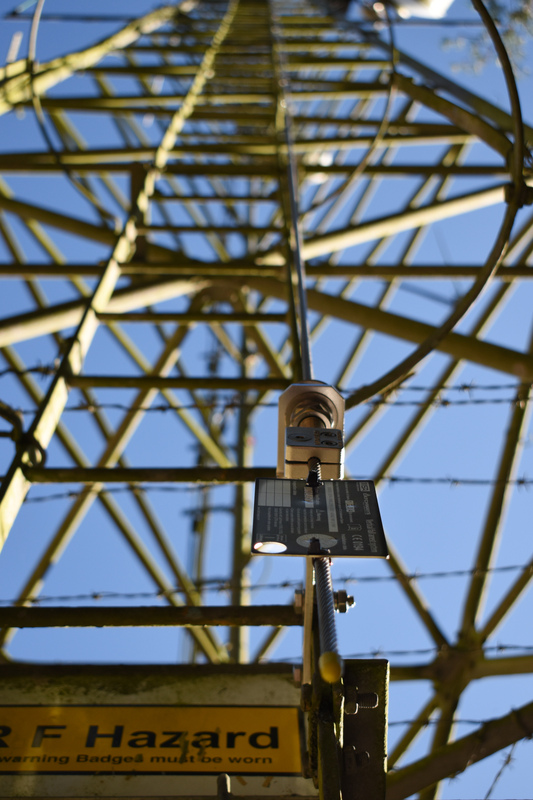 At Charlestown, we ensured that the lights were put up and successfully tested in time for the official light switch on. We also coordinated the festival light switch on, with a dedicated engineer at the turn on to ensure the switch on was successful. We are further endorsed by other local authorities including Scarborough, Coventry and Calderdale local councils.